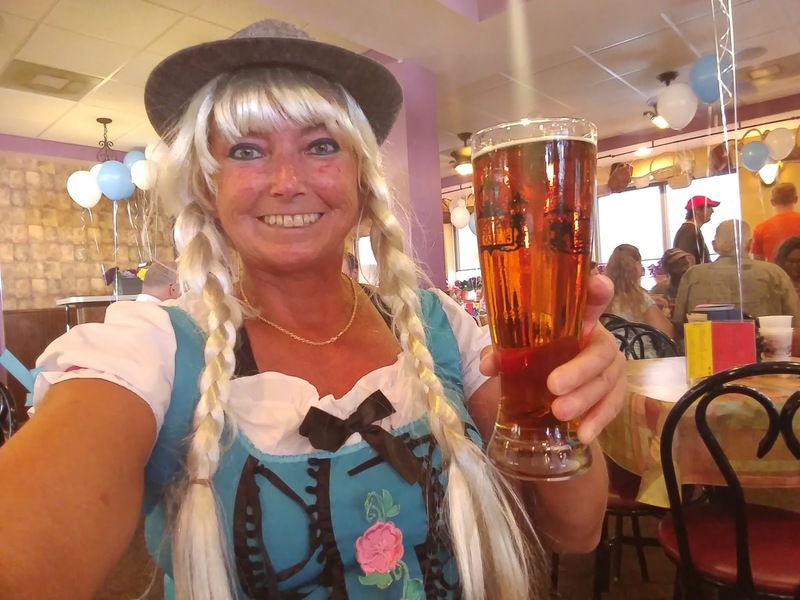 10/7/2017: Another festive afternoon of Oktoberfest in Jax Beach! Stops at Green Room Brewing, Southern Swells Brewing, European Street Cafe, and Engine 15 Brewing. Always the first Saturday in October! PROST! >>>> PHOTOS, BECAUSE IT HAPPENED! 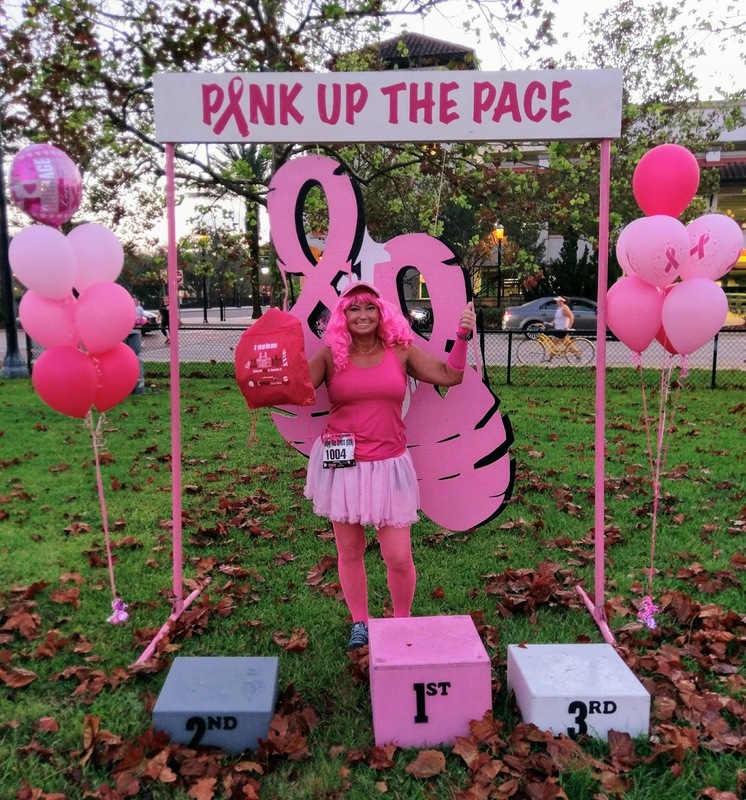 10/7/2017: The Annual Pink Up the Pace 5k took place in St. Augustine today! 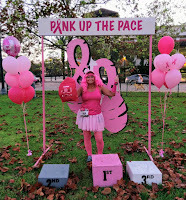 Awesome event to raise funds for breast cancer. The weather cooperated, and it was a spectacular day in Downtown St. Augustine for this wonderful event. Ann O'Malley's donated a beer to each participant, and the Pink Fire Truck from Pink Heals St. Johns County made an appearance. Check out some of the photos, and more on social media! >>>> PHOTOS, BECAUSE IT HAPPENED! 7/17/2017: I made a return visit to New Smyrna Beach Brewing new location on 7/16, after the new location opened. See the preview story from June 16, 2017. The power tools are gone, the tanks are in place, new beers are flowing. The place is awesome! And, I met Tom, a brewnymph.com reader, who was also visiting! Check out some new photos! >>>> PHOTOS, BECAUSE IT HAPPENED! 5/6/2017: Atlantic Beach Brewing Company, Atlantic Beach/Jax, held its Grand Opening on May 6. Read up on the behind-the-scenes construction interview and the preview stories on the homepage. Take a look at the video! If you weren't there, you may have been the only one! And, a few more photos >>>> PHOTOS, BECAUSE IT HAPPENED! 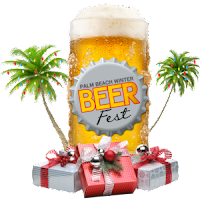 12/3/2016: It was the first Palm Beach Winter Beer Fest. Because the Summer Beer Fest is such a big hit, they decided to do a winter edition! And, what a fun afternoon of beer and spirits it was. Read the preview story here. And, check out the photos -- you might even see yourself! >>>> PHOTOS, BECAUSE IT HAPPENED! 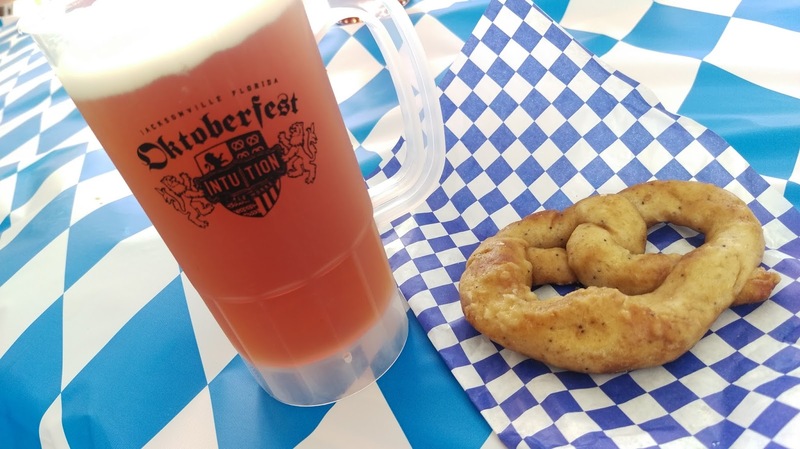 9/17/2016: The 183rd Bavarian Oktoberfest started today in Munich (see story on home page), and Intuition Ale Works in Jacksonville FL threw an awesome Oktoberfest party of its own at its new downtown location (see prior post about the new location opening). The downstairs and upstairs bars were rockin'. A huge outside tent featured The Swinging Bavarians, who provided the German tunes. Oktoberfest contests took place. Two additional bars handled the beer pouring, and a food truck offered German sausages, potatoes, sauerkraut and more. I had a great time! >>>> PHOTOS, BECAUSE IT HAPPENED! 8/30/2016: AC/DC with Axl Rose, Fort Lauderdale. Amazing show! Rocked from the 10th Row Seats. Don't think I sat all night. They played for 2.5 hours! Rained like crazy on the way there along I-95, but still made it to Funky Buddha Brewery for a couple of beers ahead of time! >>>>PHOTOS, BECAUSE IT HAPPENED! 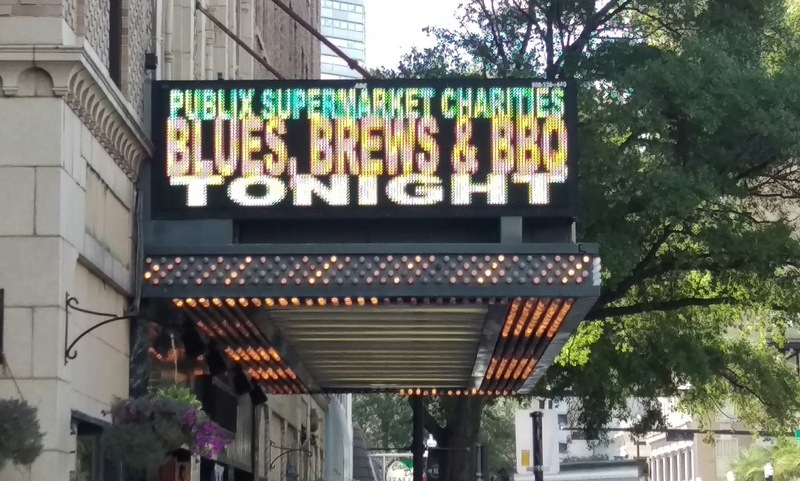 8/25/2016: BLUES, BREWS & BBQ at the Florida Theatre, downtown Jacksonville. This was one tasty event! Local BBQ from six restaurants, local beer from four Jax breweries, and local blues music by Mama Blue and Smokestack. Great night at a great venue! I think I ate too much (is there such a thing as too much BBQ?) >>>> PHOTOS, BECAUSE IT HAPPENED! 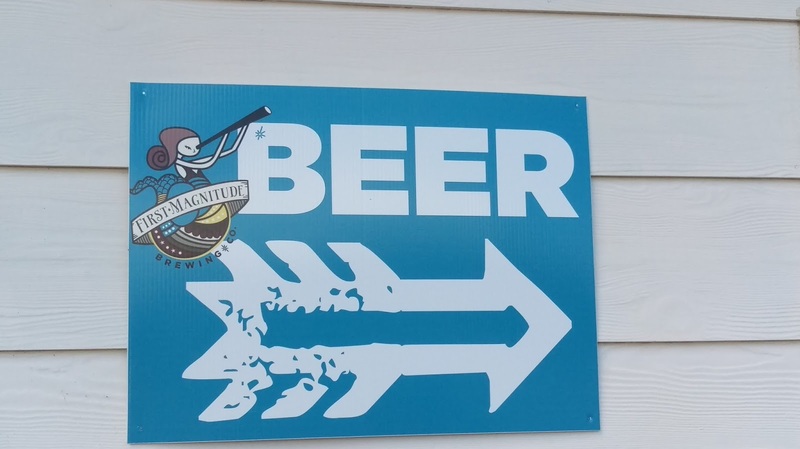 8/20/2016: FIRST MAGNITUDE BREWING Second Anniversary Party, Gainesville! What a party: huge crowds, awesome beer, awesome people. Check out the preview story on the homepage for info about the brewery and the taplist for the anniversary. If you get the chance to visit here, do it! Here's to Year 3! >>>>> PHOTOS, BECAUSE IT HAPPENED! 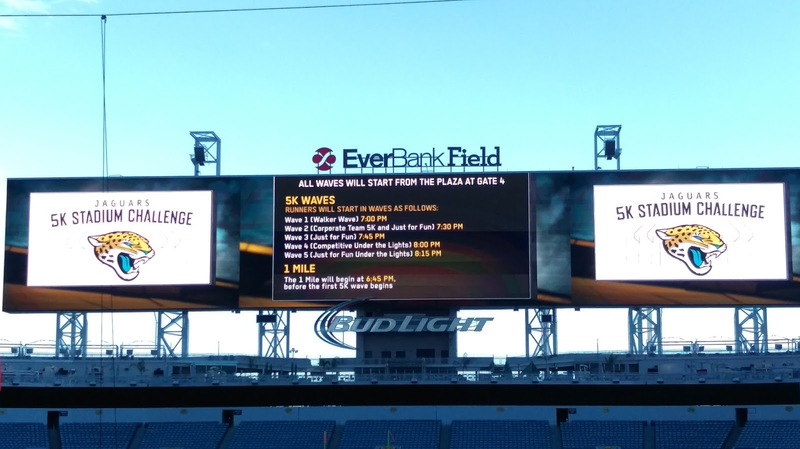 8/13/2016: JAGUARS STADIUM 5K: Fun 5k, and yes, I really needed a beer after this one! Fun event! >>>>>PHOTOS, BECAUSE IT HAPPENED! 7/29/2016: GUNS N ROSES CONCERT, ORLANDO. First time seeing these guys in concert, and it was a good one! And, it brought me to Orlando: pre-gamed at a couple of breweries: check out the blog posts about Ten 10 Brewing and Broken Cauldron Brewery, too! >>>> PHOTOS, BECAUSE IT HAPPENED! ©2017 BrewNymph, LLC. All text and photos. All rights reserved.